Visiting a college’s campus to tour, engaging in workshops, and having conversations is the best way to decide if a college is the right one for you. 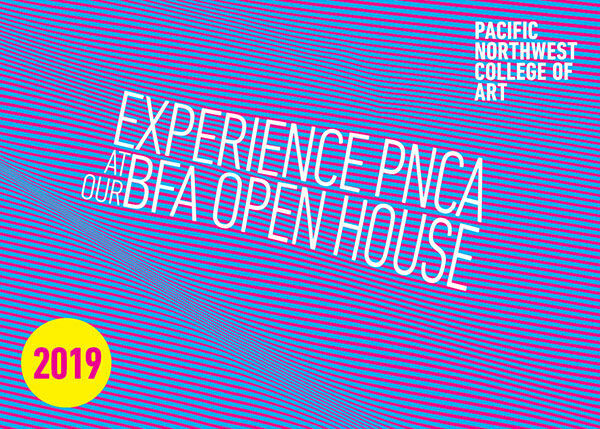 On this Saturday, we’d like to invite prospective PNCA undergrad students to join us to experience, first-hand, how PNCA will empower you to reimagine what art and design can do in the world. *Event schedule and agenda items are subject to change. If you have questions about this day’s events, please contact our Admissions Office at 503.821.8972 or email admissions@pnca.edu.